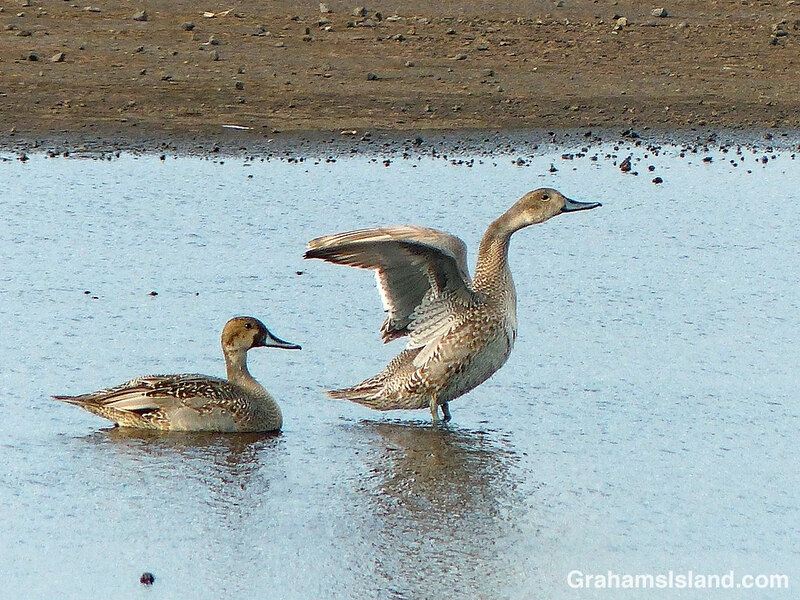 A pair of northern pintails take a dip in a puddle at Upolu Airport. 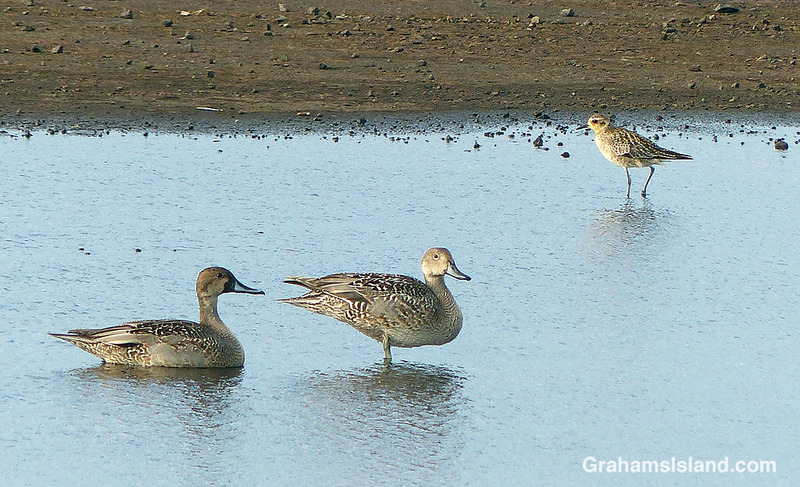 Northern pintails migrate to Hawaii in the winter, in large numbers in former times, but fewer these days. These are both drakes just starting to molt out of eclipse or juvenile plumage. Alas, they didn’t stick around the area long enough for me to see them in their splendid adult plumage. Thanks to posters on birdforum.net for the identification and information. Posted in response to this week’s Sunday Stills challenge on the theme of ‘Tourist.’ See more responses here. Thanks. I do like taking photos of birds. What a great idea to include migrating birds as tourists! But so true! They probably feel like “locals” or ohana coming back each year 🙂 I’ll bet you get your share of tourists on the Big Island! And what? You don’t have photos of people milling around Hawaii looking bewildered or confused, or walking into traffic? LOL! I see that you shared the actual link-up page, which is fine. Either way, I see your post! Thanks for the info Terri. I don’t tend take many people photos, in part because of issues if they’re recognizable, but I might make an exception for next week’s Sunday Stills. I don’t mind including people when they’re part of a public event, such as the Kamehameha Day celebrations or the Ironman race. Goes with the territory there I think. Otherwise I only do it if they’re integral to the moment or if they lend a sense of scale to a photo, in which case they’re usually small enough to be unrecognizable anyway.